It is a great honour to be RWM of Lodge St Margaret. 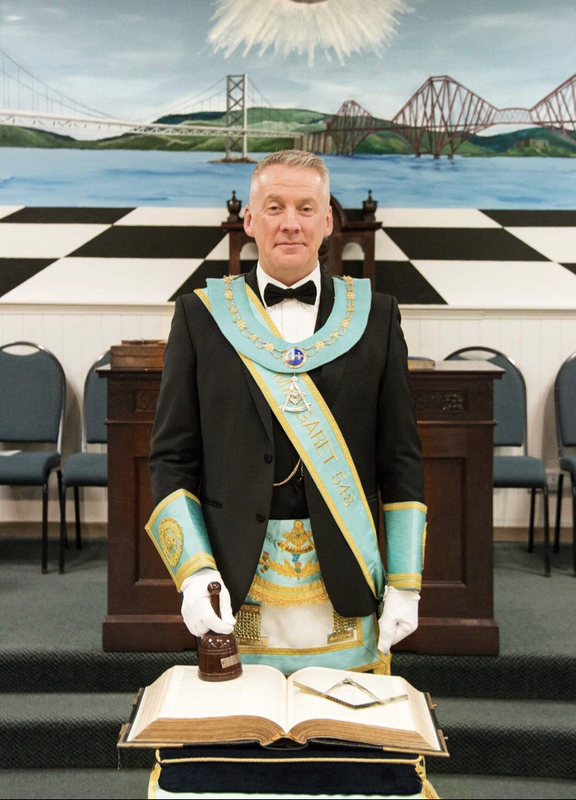 My aims as Master are to maintain the traditions of the Lodge, as well as look to the future with tools such as Social Media, and bring the Lodge firmly into community life in South Queensferry. My first few months in office have been very busy, and very rewarding. The Annual Burn’s Supper and Annual Ball were both successful, and these events are already organised for next year. The lodge has been very fortunate to initiate three new gentlemen into freemasonry, who have all contributed well to the lodge in their own ways. The lodge continues to be active in charitable work in the community, and our links with the Jimmy Liddell Memorial Dinner have also helped raise much needed funds for local charities. Our lodge visits have been wide and varied this year, with visits within and out with the Province of Linlithgowshire, as well as visits to installations in the English and Danish Constitutions. It has certainly been a busy year, and the brethren of 548 have all supported the Lodge well, with more of the same to come for many a year ahead. St Margaret’s Lodge Hall can be hired for a wide range of events. Find out more about booking our hall.